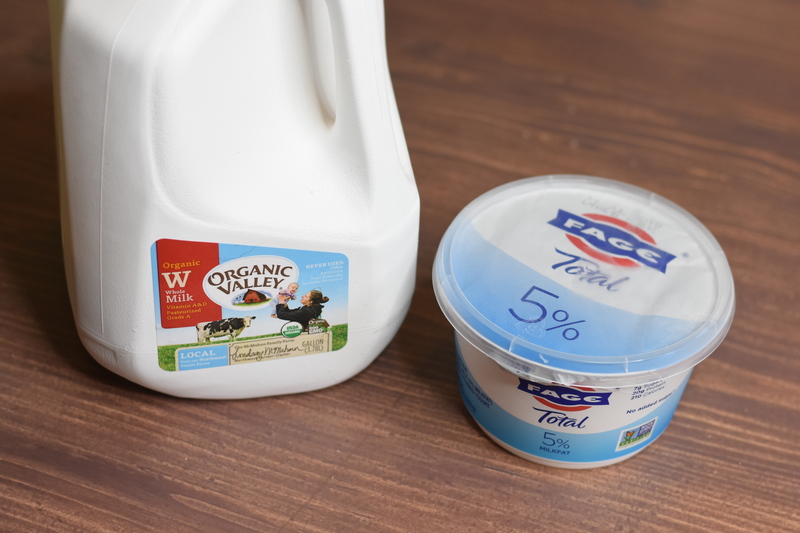 Say goodbye to confusing yogurt makers and their tiny containers with vague instructions, and say hello to your pressure cooker and making up to 1 gallon of yogurt at a time with almost zero work! 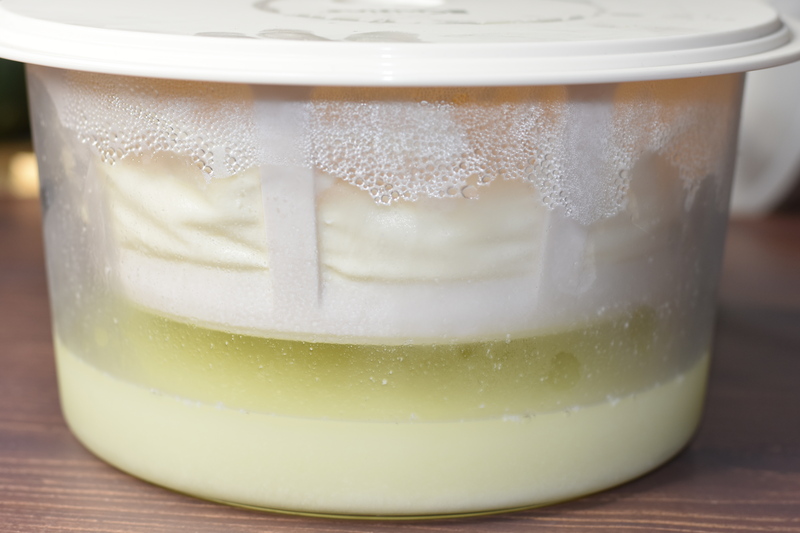 When I first heard you can make yogurt in a pressure cooker I rolled my eyes and looked at my dusty yogurt maker, sitting in shame on a shelf in the pantry. Memories of tiny containers, confusing steps, lots of dishes, and awful results still plagued me from years before. 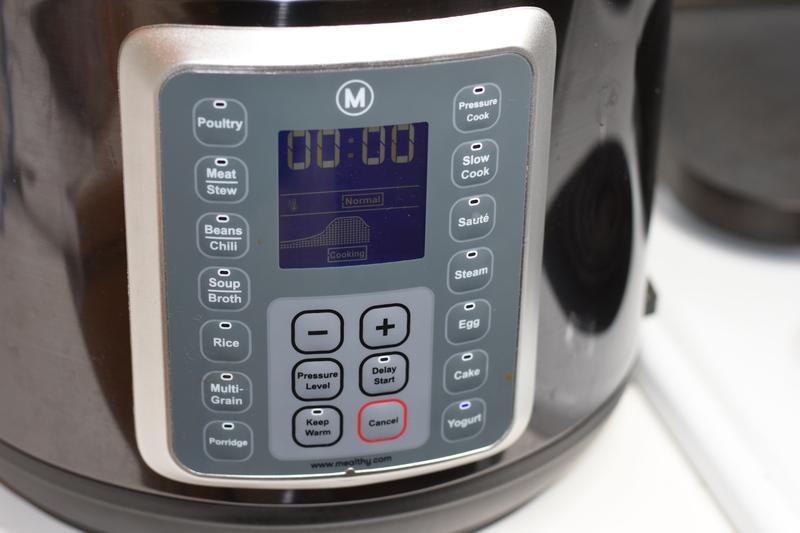 Enter my Mealthy MultiPot pressure cooker in all of its beautiful glory, and the solution to all of my homemade yogurt issues! 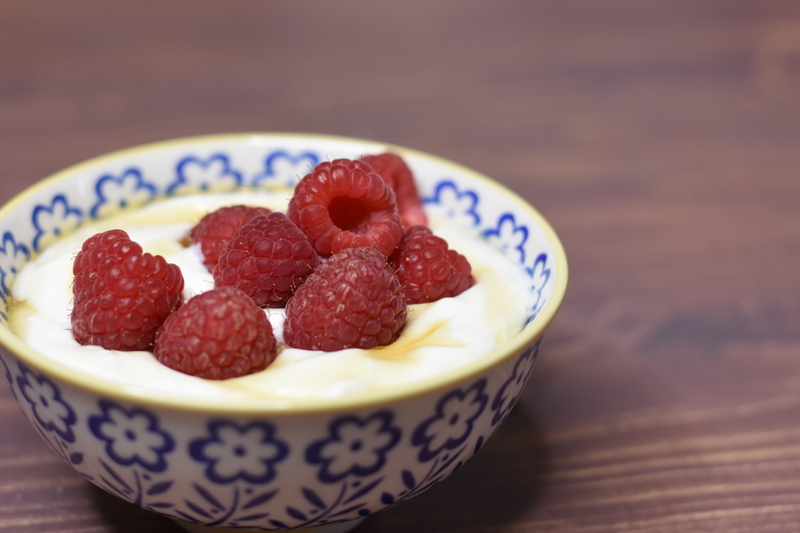 Before we proceed it's best to inform you that this step-by-step tutorial will walk you through the principles of making yogurt, and you can do this for just about any type of yogurt. I have successfully made yogurt from cow's milk, goat's milk, soy milk, almond milk, coconut milk, macadamia milk, and even tofu. I have made vegan yogurt and full-dairy yogurt, and every single time it's worked beautifully using my pressure cooker yogurt setting! Not to toot my own horn too much (toot, toot! ), but I'm officially the Head of the Yogurt Department (self-appointed) here at Mealthy. Start by pouring milk into the inner steel pot of your pressure cooker. I used 1/2 gallon. 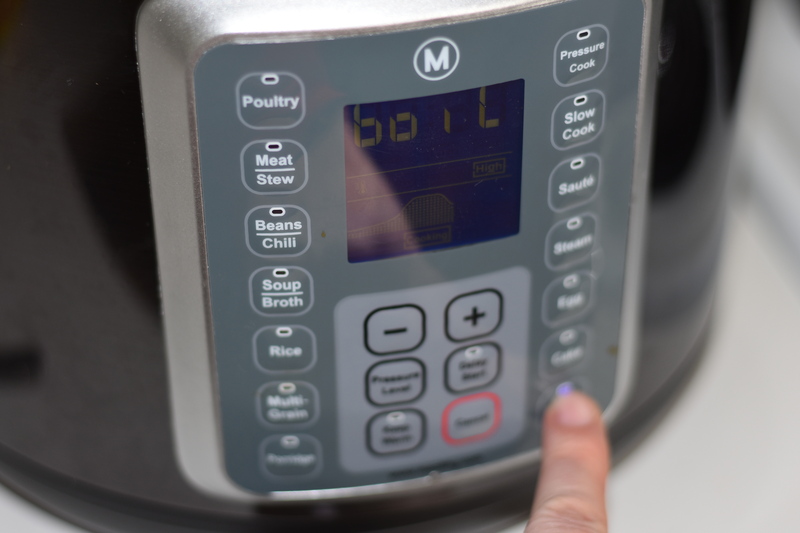 Lock the pressure cooker lid in place and press the Yogurt button until "boil" displays on the control panel screen. Walk away while your milk heats and while you're relaxing I'll tell you why we are heating the milk. Before culturing yogurt, we want to make sure existing bacteria in the milk is killed off. To accomplish this, you need to bring the milk to at least 180°F. When the program completes, check the temperature of your milk. If it hasn't reached 180°F, select Sauté on Low and cook, stirring gently, until the milk reaches temperature. 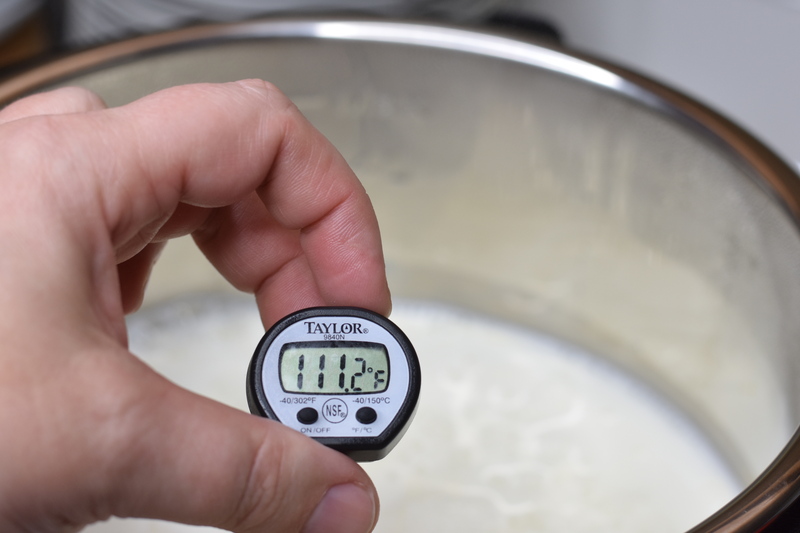 Now that we've heated the milk to 180°F, it's time to cool it down to a happy temperature for culturing yogurt. This is traditionally between 110°F and 114°F. Remove the inner pot from the pressure cooker and place pot in an ice bath. 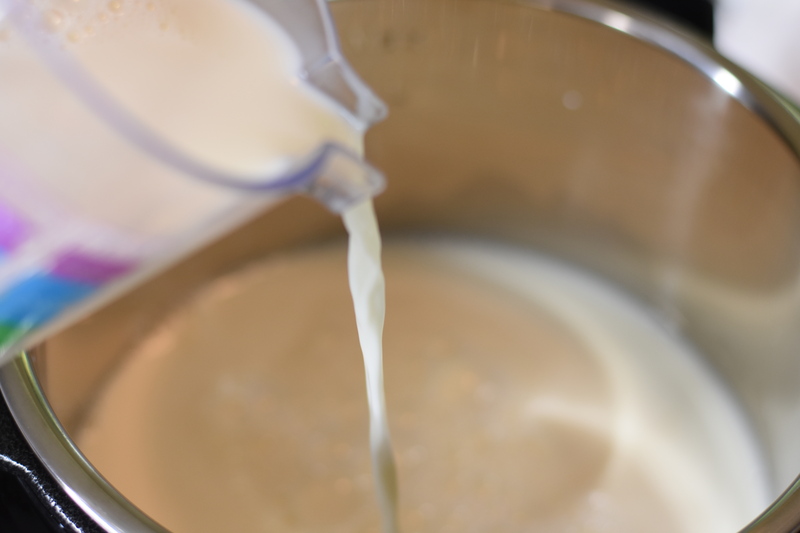 Gently whisk the milk while in the ice bath and you should be cooled down to about 110°F in less than ten minutes. If you don't want to go the ice bath route, you can just set the pot on a cooling rack and let it cool naturally, checking the temperature every few minutes. This can take around 30 minutes. 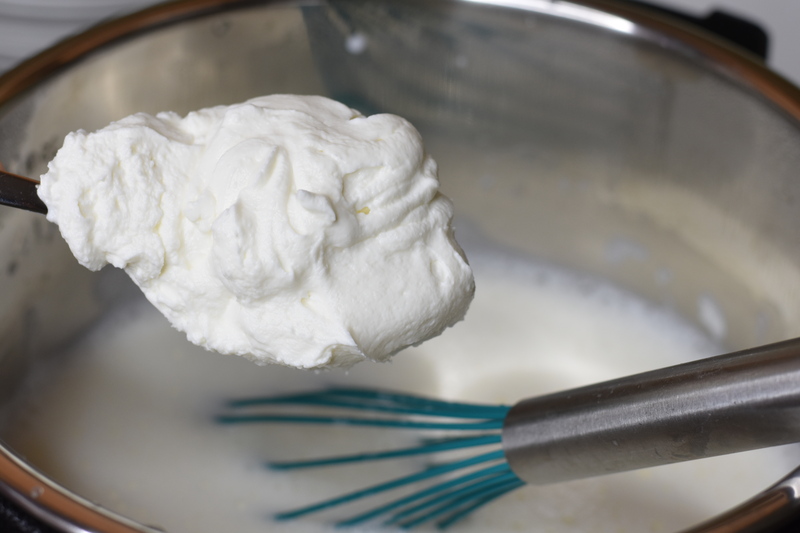 After your milk is cooled, take about 3 to 4 big tablespoons of plain yogurt and whisk it into the milk until smooth. 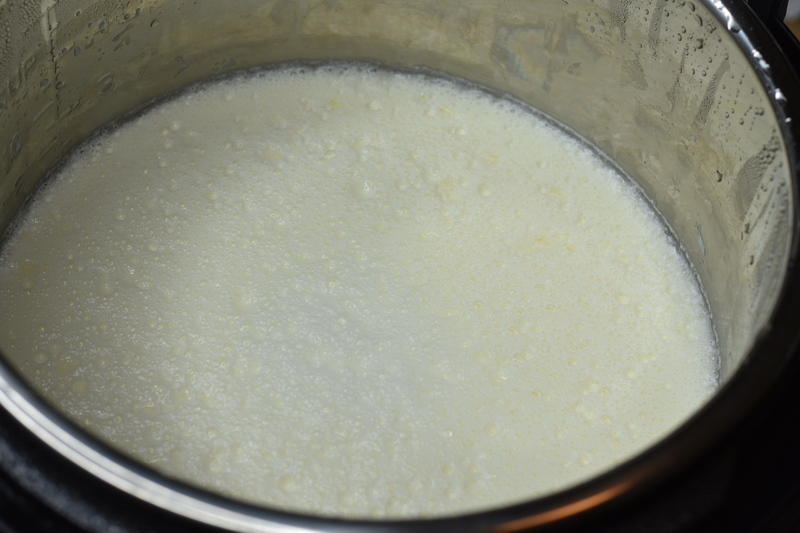 Be careful not to disturb any milk solids on the bottom of the pot. 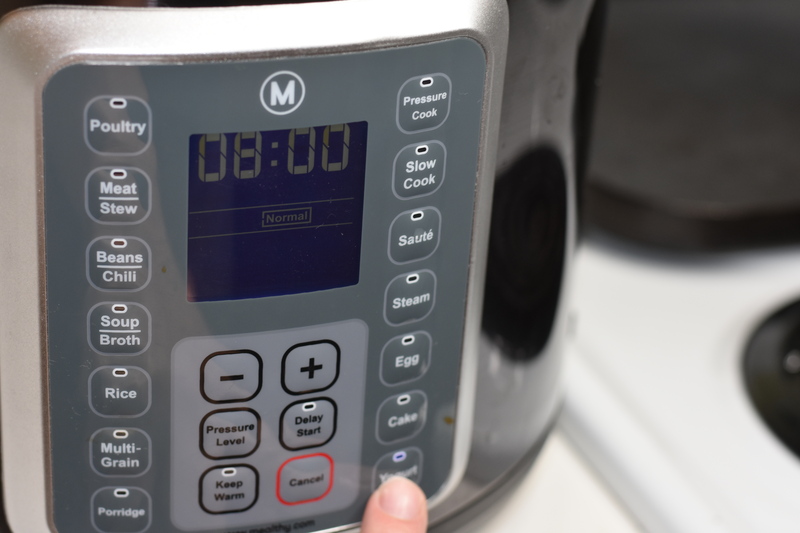 Return the inner pot to the pressure cooker, lock the lid in place, and press the Yogurt button until the control panel timer reads 8:00 -- if you want a more tangy yogurt, you can set this for up to 24 hours. As usual, after 10 seconds the program will start and the timer will display 00:00. Don't freak out! This is totally normal; for yogurt the machine counts up instead of down. Dry your tears, your yogurt is safe. Now comes the waiting. I typically start yogurt early in the morning or in the evening before I go to sleep. When the program is complete, open the lid and behold! You've got yogurt! There will be condensation in the pot, and maybe a little pooled water on the surface of the yogurt -- just pour that off. This yogurt was creamy, but I like a thicker, Greek-style yogurt. To accomplish this texture, just strain the yogurt through cheesecloth, a strainer, or the fancy yogurt strainer in the picture that I got for super cheap on amazon. It's a great tool to have for making yogurt, as it drains into the bowl below and has a lid for easy storage. I left my yogurt to strain in the fridge for a few hours. Look at all that liquid that strained off! Now this is my type of thick, smooth, creamy yogurt. Once it was finished straining to my desired consistency, I simply scooped it out of the strainer and into a bowl, then stirred it with a spoon until smooth, about ten seconds. From here you can stir in jam, honey, granola, nuts -- whatever floats your boat! I opted for honey and raspberries (can't go wrong there). You can also use plain yogurt as a great substitute for sour cream! 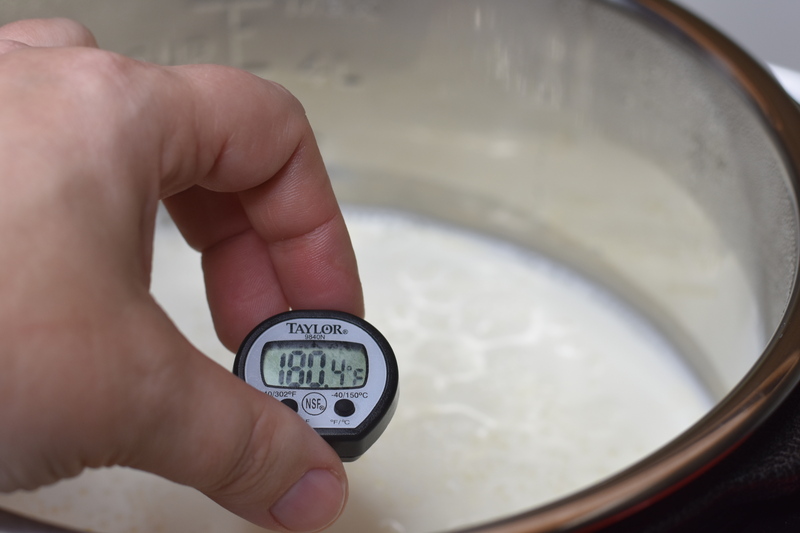 There you have it -- the basics of yogurt-making in the pressure cooker! Bon Appetit!